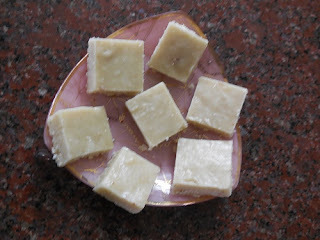 Badam Burfi is supposed to be a luxurious sweet which is prepared only on important and happy occasions like Deepavali. 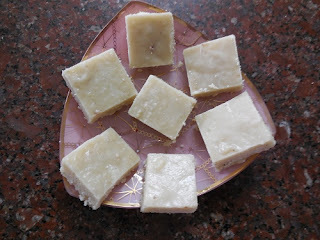 This rich fudge is a must while celebrating the first Deepavali (Talai Deepavali) of a newly married couple! 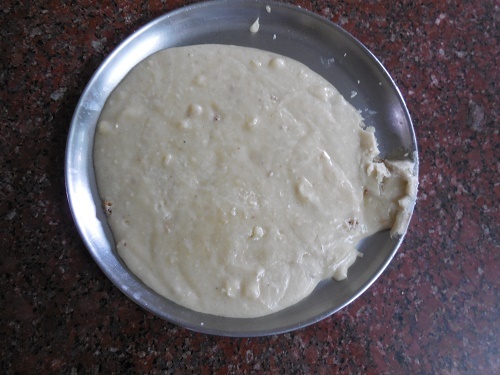 These melt in the mouth Badam Burfies can be prepared very easily at home following a few simple steps. 1. Soak almonds in hot water for an hour. 2. 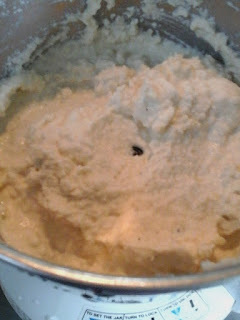 Remove the skin of almonds and peel the cardamoms. 3.Grind the almonds and cardamoms together into a thick and slightly coarse paste, using little water or milk or almond milk. 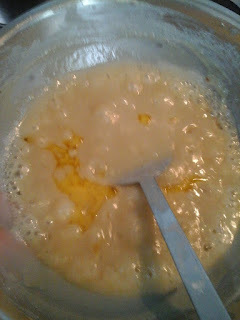 4.Grease a plate using little ghee and keep it ready. 5. Add one cup of water to the sugar and boil it in a heavy bottomed vessel. 6. 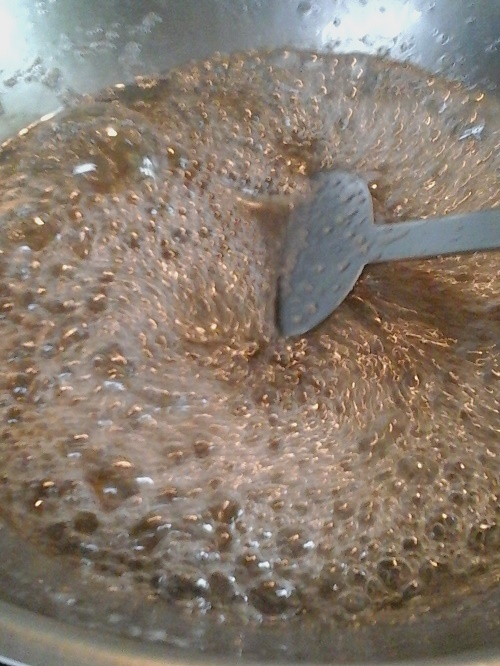 When the syrup starts foaming with lots of bubbles,(known as Gejje Kodi stage - gejje means the small bells in an anklet, kodi is boil ) decrease flame. 7. 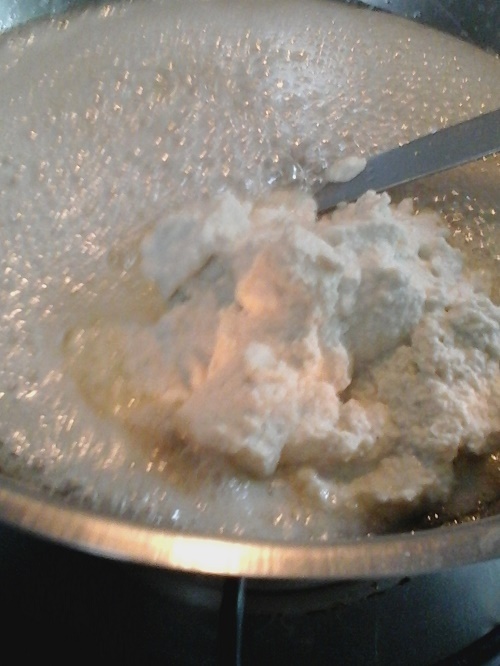 Add the ground almond paste and blend thoroughly. 7. 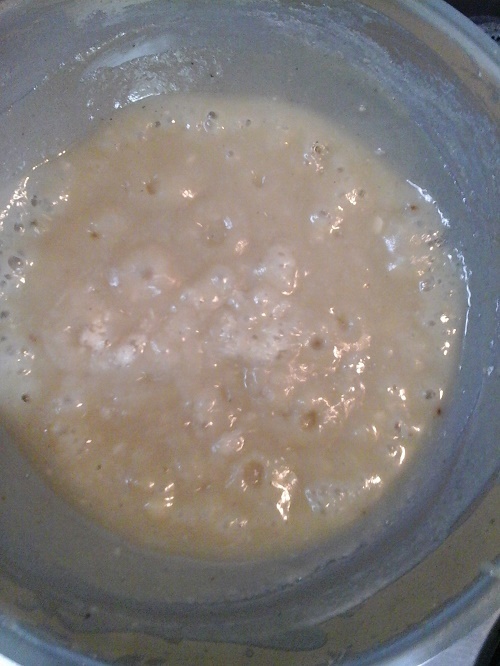 Cook on low flame stirring all the time till the almond paste and sugar syrup combine together to form a mass. 8. 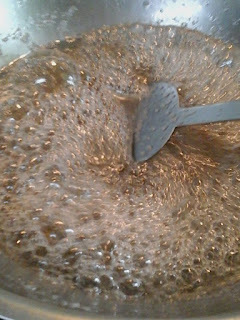 When the sugar starts to crystallize on the sides of the vessel, you can see the bubbles turning into pits. 9. Blend in ghee at this stage and immediately pour on to the greased plate. 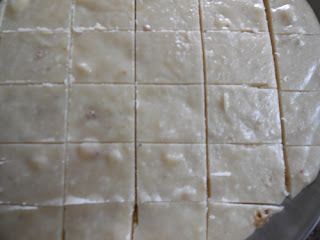 10.Once it is still warm and softly set mark the squares using a sharp knife. The Badam Burfies can be now easily removed and stored. 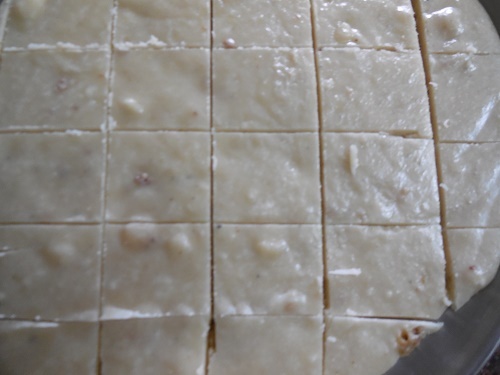 Enjoy the flavoursome melt-in-the mouth Badam Burfies this Deepavali with family and friends. WISH YOU A VERY HAPPY DEEPAVALI!